Are Malay Graduates And Job Seekers Being Discriminated In Malaysia? Are Malay Graduates And Job Seekers Being Discriminated In Malaysia? Yes, They Are. The high number of unemployed graduates, especially Malay graduates is not news in this country. We hear them blaming everything but themselves. But what if the Malays are indeed being discriminated against? “Yeah right,” I muttered at first as someone who is sometimes ashamed by my own race. How could I not, when I’m assumed to be ‘easily swayed and confused’ half the time? This paper investigates racial discrimination in hiring fresh degree graduates in Malaysia through a field experiment. We send fictitious Malay and Chinese resumes to job advertisements, then analyse differentials in callback for interview attributable to racial identity, while controlling for applicant characteristics, employer profile and job requirements. We find that race matters much more than resume quality, with Malays, Malaysia’s majority group significantly less likely to be called for interview. Other factors, particularly language proficiency of employees, language requirements of jobs and profile of employers, influence employer biases. Applicants fluent in Chinese fare better, and Chinese-controlled and foreign-controlled companies are more likely to favour Chinese resumes, indicating that cultural compatibility explains part of the discrimination. Malay resumes tend to be perceived and prejudged adversely, and employers’ attitudes towards public policy outcomes, particularly pertaining to education quality and employment opportunity in the public sector, also account for the observed racial disparities. When researchers sent fake resumes of Malay and Chinese fresh graduates, the Malay applicants are much less likely to be called back for an interview. Employers perceive Malays negatively, think that they have lower-quality education and always have the safety net in the form of government jobs to fall back on. Huh. I’ve never been pro-Malay, but I hate discrimination more. How was the research conducted to come to this conclusion? Sent over 3000 fake resumes, divided into 4 categories: AA Malay, AA Chinese, BA Malay and BA Chinese (AA = Above average; BA = Below average). CGPA, university, language and technical skills were randomly assigned. Sent the resumes to job vacancies in finance and engineering sector. Did not include other races. Found that in general, AA applicants get more callbacks than BA applicants. Interestingly, AA Malay have lower callback rate than BA Chinese. Showed that Chinese resumes received a 22.1% callback rate on average while Malay resumes received 4.2% callback rate on average. Malay applicants for engineering jobs get the lowest callback rate at 2.9%. Malay graduates from private universities get the lowest callback. Showed that UTAR graduates get higher callback rates, but there is no penalty for UiTM degrees. Malay resumes stating proficiency in Chinese get higher callback rates. English and Malay proficiency and good English in cover letter have ‘negligible impact on call rates’. Calculated callback rates among Chinese, foreign and Malay-controlled companies. Malays get lower callback rates in ALL of them. Even Malay-controlled companies favour Chinese applicants 1.6 times more than Malays. As I read, it dawned to me the long-forgotten early struggles in my career, where I struggled to hear back from potential employers despite sending job applications after job applications. I thought it happened to everyone. I thought all job seekers faced the same problem. Was it… caused by my (very Malay-sounding) name instead? Cultural compatibility and language ability matters. Employers with predominantly Chinese employees perceive that Malays are less likely to take jobs offered anyway (or quit within a few months), as Malays have the tendency to feel uncomfortable in these settings. 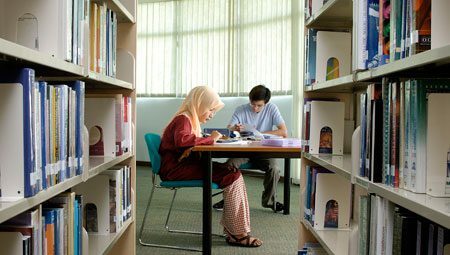 The researchers theorise that Malays prefer environments where their religious customs and spoken language in work environment are catered to. Malay applicants are negatively prejudged. This explains why BA Chinese get higher callback rates than AA Malays. No conclusive reasons are given, except that the negative stereotypes may be reinforced by past experience and lack of contact between these two groups to prove otherwise. Appears to be the result of pro-Malay affirmative actions. People tend to think that Malays have lower-quality education and higher opportunities in the public sector anyway. This is a very complex issue, and further research are needed, but the researchers suggest that pro-Malay policies may in fact hurt Malay graduates’ job prospects. There’s substantive proof now to back up this discrimination claim. 22.1% callback rate vs 4.2% callback rate is a big difference. 1 in 5 Chinese applicants get called for interview, while less than 1 in 20 Malay applicants get the same. Remember that the quality of resumes were already factored in. Less callbacks means less opportunities, more likelihood to take lower-salary but stable jobs, and being stuck in lower-economic power for longer time. This is only one research though, and I’m happy to be pointed to other studies to disprove this or question the methodology of this research (for example, I didn’t like that it only compared Malay and Chinese resumes). But until then, won’t you agree that discrimination is discrimination? I hate the blame game, so I’m going to end this with a few suggestions on how can we level the playing field a bit more, so deserving Malay candidates get equal and fair chance in the job market, too. If your employees are predominantly composed of a single race, get more diversified. Diversified workplaces earn more profits. It’s literally to your advantage to have a racially-balanced workforce. Know that you (even Malay employers) have negative bias against Malays, and that potentially makes you lose out on those good Malay candidates. If you have Chinese proficiency, put it in your resume. If you don’t and have difficulty getting callbacks, take Mandarin classes at the same time. This research proved that Chinese proficiency increased callback rates. Make more friends outside of your race. Make more friends outside of your race. Make more friends outside of your race. You’re the majority. It’s up to you to reach out to others, not the other way around. Actively attend and network in events, not just Malay-organised events. Be a good friend, be a respectful person. Even though you believe in your faith and race 100%, stop making remarks that make you sound stupid, non-accommodating and even violent. Be easy to work with. HXSM does this best so I’m just going to leave these examples of Malay-spewed absurdity to end this. If you’re gonna comment, be nice. This piece was written by Suraya Zainudin. Suraya is a freelance writer specialising in personal finance, investing, non-profits, women’s empowerment, and FinTech. An aspiring digital nomad, she blogs at ringgitohringgit.com. Follow the author on Twitter @surayaror. The article was first published here with the original title “Are Malay Graduates and Job Seekers being Discriminated in Malaysia? Yes, finds this study.” It is republished with permission.